101 Awesome Fall Activities for Kids! Cooler weather is FINALLY here! It’s a great time of year to get outside with the kids for some quality family time! 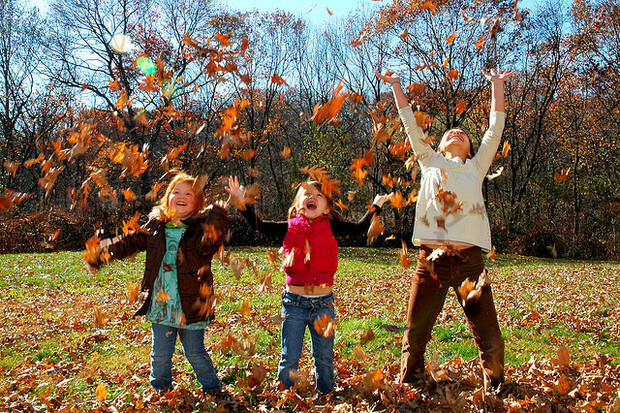 Alligator Dental found this awesome list of 101 Fall Activities to do with your kids. Here is a sample of ideas from the list – don’t these make you wish Fall lasted all year? Build a scarecrow stuffed with newspaper (or leaves!). Have an apple cider “tea” party. Play I Spy during a nature walk. Get lost in a corn maze. Have an apple taste-testing activity. Make a Thankful Tree for your house. We love how simple some of them are – like #28: Roll down hills and listen to crunching leaves beneath you. Click here to see the whole list!